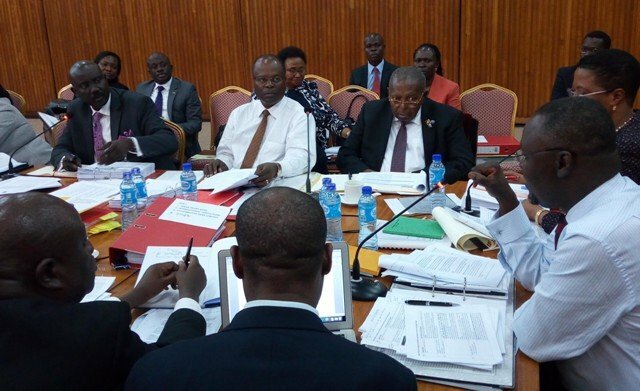 KAMPALA – Parliament’s Committee on Commissions, Statutory Authorities and State Enterprises (Cosase) have recommended sanctions against Bank of Uganda senior officials following the conclusion of their investigation into affairs at the central bank in the aftermath of the closure of some seven commercial banks, including Crane Bank Ltd, the most recently affected. In a report to be tabled on the floor of the House, placed on the order paper on Thursday, the MPs recommended a raft of sanctions and want senior central bank officials who handled the closure of the commercial banks, and most recently of Crane Bank, must be held “individually liable” for violating the law particularly the Financial Institutions Act and Bank of Uganda Act. COSASE investigated the central bank and its contested closure of seven commercial banks for nearly three months and the out-going chairperson, Bugweri County MP Abdu Katuntu, was expected to table the findings on the floor of the House on Thursday. The COSASE inquiry into the conduct of Bank of Uganda and it’s officials in the closure of seven banks, with some ending up in massive controversy turned the attention of the public to the mismanagement of closed banks by BoU after the Auditor General Mr John Muwanga issued a stinging criticism of the central bank in a special audit that cited massive flaws in the closure of Teefe Bank (1993), International Credit Bank Ltd (1998), Greenland Bank (1999), The Co-operative Bank (1999), National Bank of Commerce (2012), Global Trust Bank (2014) and the sale of Crane Bank Ltd (CBL) to dfcu (2016). According to their report, the MPs have now faulted senior central officials including Deputy Governor Louis Kasekende; Mr Benedict Ssekabira, the director of Financial Markets Development Coordination (FMDC); Ms Justine Bagyenda, the former executive director for Commercial Banks supervision; and, Ms Margaret Kasule, the legal counsel for their role in the closure and sale of Crane Bank’s to dfcu Bank. The committee has proposed that the police should carry out further investigations to establish whether money was lost when the central bank claimed to have injected Shs504b to prevent the collapse of banks but failed to provide evidence to support the spending of Shs25b out of the allocation. The Committee also wants the Inspector General of Police to “immediately seize all the land titles in possession of Mr Kakembo Katende of M/s JN Kirkland and SIL Investments; the two companies that took over the sale of a loan portfolio of closed banks that was worth Shs145b”. On Greenland Bank, the report recommends that Bank of Uganda should take “full responsibility for any probable loss to Greenland Bank”. “We recommended that BoU should never resolve any financial institution without strictly adhering to the provisions of the law like the Financial Institutions Act, Bank of Uganda Act and the National Record and Archives Act,”.